Build with Sass CSS (Scss files are included, Now LESS CSS is also available). Easy modification with variables. 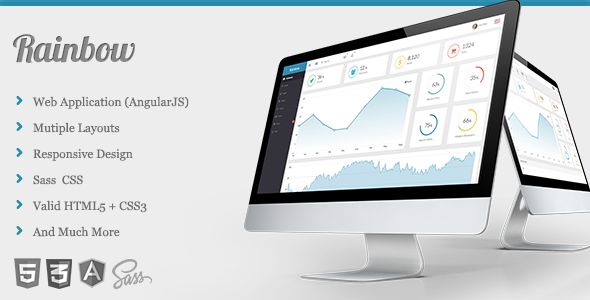 Item Reviewed: Rainbow Responsive Admin App with AngularJS 9 out of 10 based on 10 ratings. 9 user reviews.